The relative importance of Civil War campaigns is a matter for debate among historians and buffs alike. Gettysburg, Vicksburg, and Atlanta have their advocates. Gettysburg certainly maintains its hold on the popular imagination. More recently has come the suggestion that no single campaign or battle decided the war or even appreciably altered its direction. 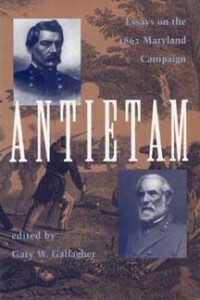 If any one battle was a dividing line, Antietam is a solid contender. In no other campaign were the political, diplomatic, and military elements aligned so favorably for the Confederacy. Yet Lee’s retreat after the terrible battle in September 1862 changed everything. Great Britain had second thoughts about intervention; Abraham Lincoln issued the Emancipation Proclamation; and Lee’s army, while victorious on other fields, proved not to be unbeatable. 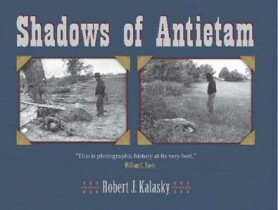 Across the years, Antietam remains the worst one-day slaughter in American history. The ghastly losses in the Cornfield, the West Woods, and the Sunken Road still appall the reader. Lee’s gamble against disaster and George McClellan’s inexplicable refusal to press his advantage remain puzzlements. Gary W. Gallagher is professor of history at the University of Virginia. He is a contributing editor of The Kent State University Press publications Struggle for the Shenandoah: Essays on the 1864 Valley Campaign (1991); The First Day at Gettysburg: Essays on Confederate and Union Leadership (1992); The Second Day at Gettysburg: Essays on Confederate and Union Leadership (1993); and Three Days at Gettysburg: Essays on Confederate and Union Leadership (1999).